Making a quick pan sauce is a great way to finish sautéed chicken and quick enough to do on a weeknight (it takes less than 5 additional minutes). This is a pretty versatile thing. Sometimes I add capers, sometimes I use lemon juice, shallots or garlic will work well. 1. Heat butter and olive oil in a medium frying pan over medium heat. Stir together flour, seasoned salt, pepper, clove and cumin. Pat chicken dry with a paper towel and dredge in the flour mixture. Sauté until chicken is browned, about 5-6 minutes on each side (10-12 minutes total). Remove from pan. Do not remove pan drippings. 2. 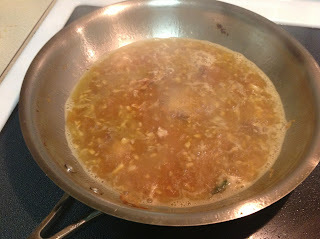 Add garlic to hot pan with drippings. Sauté a couple minutes until softened but not brown. Add wine and stir to deglaze pan. Continue cooking until the sauce thickens. Stir in lemon juice. 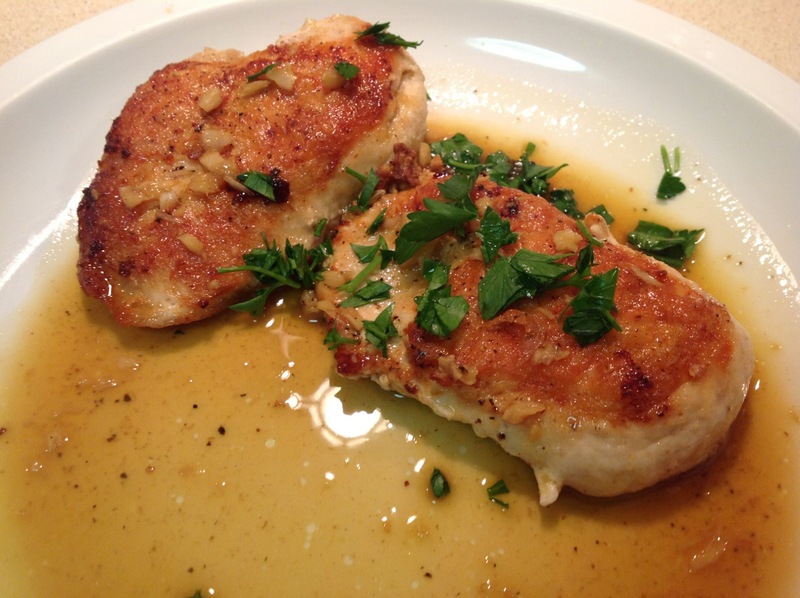 Serve chicken topped with a generous spoonful of sauce and a sprinkle of fresh parsley. I always enjoy seeing this arrive on our dining room table.